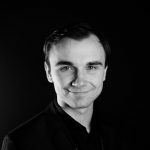 Kelly received a BA (hons) from the Brighton Institute of Modern Music and has been teaching classes and individual singing lessons for 5 years. Her passion for music comes across in her lessons; she is an experienced teacher of children and adults and has a wonderfully positive and encouraging style. As well as being classically trained Kelly has experience in musical theatre and is a backing vocalist for many current artists including Beverley Knight, Heather Small and Heaven 17. Kelly’s lessons are always well tailored to the individual and their ability. Beginners to Advanced are all welcome whether it’s just for fun, confidence building or preparation for auditions, performances and recordings. 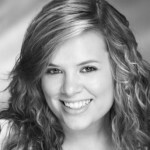 Steph is an experienced vocal tutor who since graduating from music college has been teaching children and adults in the Sussex area. Steph has a passion for teaching and “really enjoys watching a student develop their voice”. Whether students are looking to sing professionally or just for pleasure, Steph is adaptable and helps students learn at a pace that suits them in a fun and relaxed environment. 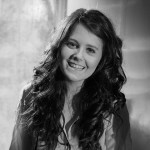 Alongside teaching, Steph is also a busy working musician who can be heard singing in various bands all over the UK. Since qualifying with a BA Hons Degree in Professional Musicianship, Rachel has taught both privately and in schools for the last 6 years, alongside working as a professional singer. Rachel is highly experienced in bringing out the best in her students who always enjoy the lessons and make great progress. Rachel takes care to listen to what her students are aiming for and offers expert advice and tuition. Rachel specialises in contemporary music and when she is not teaching she is a busy performing artist who has worked with Heaven 17, Amy Winehouse’s touring band, Claire Martin and Liane Carroll. 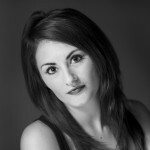 Rachel regularly runs vocal workshops which are exceedingly popular with her students. 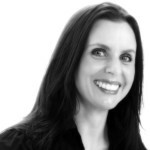 Hayley has been teaching extensively throughout Sussex for the past 5 years. She covers all styles including Pop, Jazz, Theatre and Studio Session techniques. Hayley is an in demand lead vocalist and performs throughout the UK with various bands. Anna is a professional vocalist and recording artist. She has been singing since she was twelve years old and teaching since 2007. She graduated with a BA in Music at Sussex University, specializing in vocals and studying under vocal legend Carleen Anderson (Brand New Heavies). Anna is creative and adaptable in her teaching style – and has an amazing way of bringing out the creativity in those who she teaches. She is an encouraging and sensitive teacher who has experience teaching all ages and abilities. Anna is also an avid song-writer and an excellent coach for any student looking for help in this area. 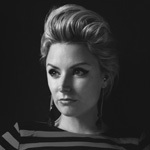 Zara is a singer, songwriter, producer and accredited vocal coach based in Preston Park, Brighton. 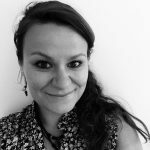 Whether you are currently a beginner wanting to take that first step vocally, or perhaps an advanced singer looking to improve your vocal technique, Zara is a voice expert who caters each lesson to the individual student. Her background includes training at the prestigious BRIT School of Performing Arts and University of Westminster where she has studied commercial music and the art of vocal teaching. Zara also specialises in songwriting and producing her own music using industry standard software, and can help those looking to do the same. 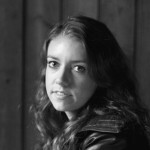 Since graduating from The Brighton Institute of Modern Music with a BA (Hons) in Vocal Musicianship, Rosie has immersed herself within many different areas of the industry including backing vocal work across the UK as well as venturing abroad for Female Blues singer/songwriter Jo Harman. As an experienced singer/songwriter herself, Rosie is also developing her solo career and has had lots of experience recording in the studio. Rosie welcomes all students, children or adults, whether your a beginner or if you would like to prepare for an audition or performance. She specialises in vocal technique, genres including pop, soul and rnb and harmony work. After studying performing arts Sarah spent many years performing with bands and orchestras throughout the UK and Europe. She is now a highly acclaimed vocal coach teaching both children and adults whether they are a beginner or more experienced. Sarah’s vocal training is based on the Bel Canto technique. She believes technique is important even for the youngest student giving them a strong foundation as well as having fun and building confidence. Sarah mainly teaches musical theatre and contemporary styles. 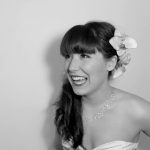 Since graduating from the University of Chichester with a Masters in Music Performance, Emily has been lead singer for two in demand covers bands, and a popular acoustic duo. She does occasional session work and has had international success as a featured vocalist and songwriter, including a chart topping hit in South Africa. She also leads the Southend Barns Choir. Emily offers both individual and group lessons, and teaches many styles, including: musical theatre, pop, jazz, and some classical. She helps students find their voice, have fun and build confidence. Having personal experience of overuse and misuse of the voice, she encourages technique that will be safe and sustainable. Stephanie is an experienced vocal teacher, performer and composer. She has been teaching music and leading choirs for over 10 years. 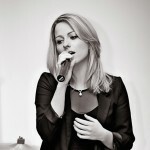 She is a classically trained vocalist who also has extensive experience in Jazz, Pop, Blues, Rock and Musical Theatre. Stephanie is an enthusiastic teacher who adapts her lessons to each student by focusing on their own individual needs. Her lessons aim to bring out the best in her students by building confidence, developing techniques, extending repertoire and exploring the inner voice. As a composer and multi-instrumentalist, Stephanie writes and records her music in her own home studio. She is able to provide song-writing lessons to those who wish to progress their composition skills. Students will also have the opportunity to record their performances and compositions in her studio if they wish to.